I started realising I had a skill (of drawing and art) when I started junior school. Being ‘good at art’ was something that ran in my family so it was only a matter of time before it got noticed in my art classes. On one occasion, I got into a fight with an older thug in the playground. He quickly started to get the better of me, but just when I thought I was going to get a thumping, another thug, a complete stranger to me, stopped the fight, saying “Leave him alone. He’s really good at art”. At first I thought he was taking the piss, but it appears because I was seen as having a ‘gift’ he stepped in to protect me. I wonder if having the same ‘gift’ would mean the same to today’s kids? Well, that was 40 years ago, and it’s a very different world now. Kids today are surrounded by much more complex visual communications. The digital age has given us a creative feast. I am loving every eyeful! Films, TV and still photography have all benefited from the ability to simply produce and edit creativity, with minimum ease. In the magazine industry, the computer has been a revelation since its introduction in the late ‘80s. It was so difficult to do this simplistic design task back then. Today’s designers have magical tools at their fingertips. They are able to create beautiful complex art, stunning photographs (from their phones!) and even print an object in 3D. Surely there has never been a better time for being creative? Or is all this technology getting in the way? I think this highlights that personal creativity is everywhere, you’ve just got keep your eyes and mind open. Don’t be afraid to try something different. Some of my best design work has come from ‘happy accidents’ where I have experimented whilst painting, and recently with photography and video. But even with all this fabulous and ridiculously easy (and cheap) technology to hand I have found myself longing to get back to the basics. Many of my fellow colleagues are doing the same, taking extra lessons in life drawing, print making and even glass sculpture. All of these people are, like me, designers enthused by digital technology, but have felt the need to do something more tangible and raw. I recently started oil painting again after years of working with computers. The smell of the oils took me back many years when I was learning to paint with my family. It’s such a fabulous way to enjoy being creative, and it’s nice to get my hands dirty! Recently I got inspired by my 7-year-old son. I have taken to experimenting with simple pencil drawings, which have reminded me again that the pencil sketch is the foundation of all good art and design. It is by far the best way of visually explaining any design project, from the front cover of Not Shut Up to the most complex machine or building. So, keep up the drawing. 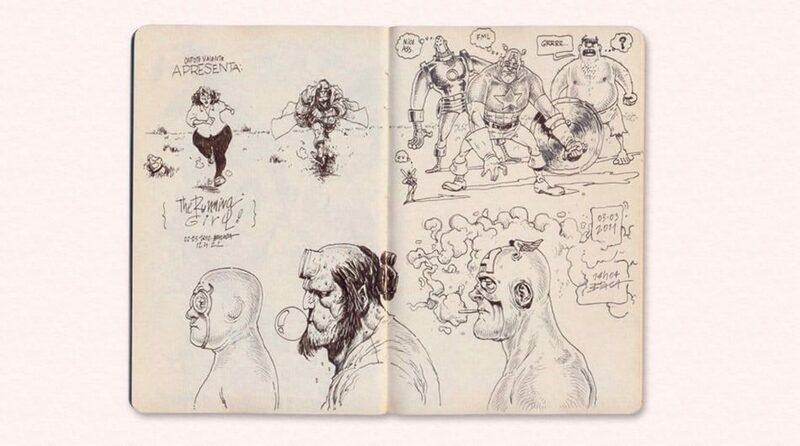 Draw what you see, or even more excitingly draw what you think. Everybody has got some creativity within them, be it writing, music or art. But you never discover it until you find yourself working at it! 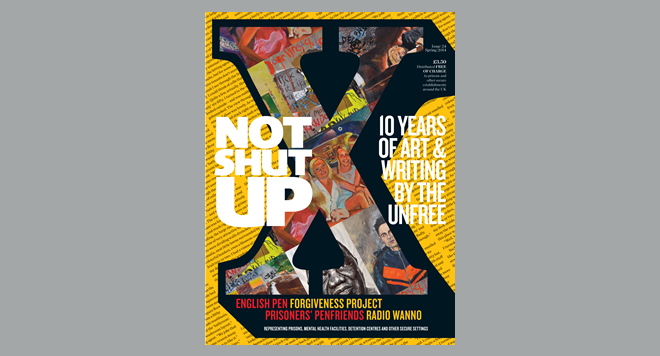 This article first appeared in Not Shut Up Magazine a magazine representing prisoners’ creative writing from across London London estate run by the Not Shut Up charity which is supported by River Publishing.